Schubert’s String Quartet in A minor, D. 804 has long been associated with memory and nostalgia, not least because of the citation in the third-movement Menuetto of the opening figure from ‘Strophe aus Schillers Die Götter Griechenlands‘ (D. 677), which sets an explicitly elegiac text.That Friedrich Schiller was an important author for Schubert is well-documented, and in Professor Mak’s earlier work on lyricism in Schubert she has argued a close correspondence between Schubert’s paratactic style and Schiller’s paradigm of the elegy. This paper further considers ways in which Schiller’s theory of the aesthetic imagination may also inform our understanding of Schubert’s discourse. In notebook entries and letters written around the time of the quartet’s composition, Schubert’s remarks on the imagination’s power to transcend and beautify miserable reality suggest familiarity with, and sympathy for, Schiller’s view of the imagination in On the Aesthetic Education of Man in a Series of Letters. In particular, Schiller’s notion of play-drive (Spieltrieb), which mediates between the sensuousness of intuitions and desires (Stofftrieb) and the urge to impose order on feelings and experiences (Formtrieb), finds resonance with Schubert’s constructions of subjectivity in the quartet. Professor Mak proposes a reading of the work that draws upon both these tropes taken from Schiller: the dialectical opposition between ideal and actuality in his conception of the elegy, and the negotiation between materiality and form in his conception of the imagination. 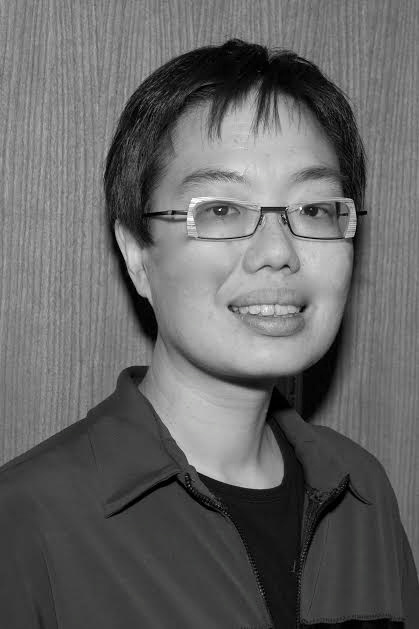 Su Yin Mak is Associate Professor of Music Theory at the Department of Music of the Chinese University of Hong Kong. Her teaching and scholarship have ranged across a diverse set of interests, including Schenkerian analysis, Formenlehre, text-music relations, musical hermeneutics, and the interactions between analysis and performance. Primarily known as a Schubert scholar, her articles on the composer have appeared in the Journal of Musicology, Eighteenth-Century Music, and monographs by various academic presses. In 2008, Mak received the Emerging Scholar Award from the Society for Music Theory for her article “Schubert’s Sonata Form and the Poetics of the Lyric.” Her book,Schubert’s Lyricism Reconsidered: Structure, Design and Rhetoric, was published by Lambert Academic Press in Germany in 2010. Current projects include a book-length study on Schubert entitled Franz Schubert and the Emergence of the Romantic Fantasy, for which she received major funding from the Research Grants Council of Hong Kong; an ethnographic study of a professional string quartet in Hong Kong; and a complete English translation of Felix Salzer’s 1928 study of sonata form in Schubert. Outside academia, Mak is an active promoter of classical music to the public and is an Artist Associate of the Hong Kong Sinfonietta in the 2014/2015 concert season. She also enjoys a secondary career as a writer, and has published poetry and literary translations in both English and Chinese.